Here, we take a look at some of the battles that could prove to be critical in deciding the course of the match as both teams look to seal a spot in the playoffs. The Chennai franchise return to some home comfort and host Sunrisers Hyderabad in their next clash at Chepauk. A win will almost certainly assure an IPL-12 Playoff berth for the defending champions but it’s unlikely to be cakewalk. 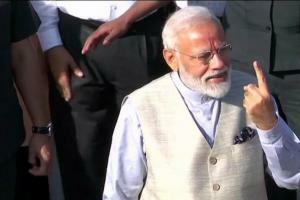 The Indian Premier League final scheduled on May 12 was Monday (April 22) shifted from Chennai to Hyderabad after the Tamil Nadu Cricket Association (TNCA) failed to get requisite permission from the government to open the three closed stands. Dhoni was hailed a hero by Twitter for his fireworks during RCB vs CSK clash but what remained the highlight in his glorious innings was when he smoked Umesh Yadav for a jaw-dropping 111-meter six. The Virat Kohli-led Royal Challengers Bangalore have seen a sudden upsurge in their fortunes as they registered their third win in four games, the last two coming against KKR and CSK in close contests in Kolkata and Bangalore respectively. Follow all the live score and latest updates from the 2019 IPL game between Royal Challengers Bangalore (RCB) and Chennai Super Kings (CSK). After Chennai's top-order suffered a collapse against Royal Challengers Bangalore's new ball bowlers, MS Dhoni did his thing and smashed an unbeaten 84 in 48 balls to take Chennai to the verge of a win before a final ball mess up saw RCB sneak through. Chinnaswamy Stadium witnessed a nail-biter on Sunday night as MS Dhoni nearly pulled off a miracle win for Chennai Super Kings but it was Royal Challengers Bangalore, and more importantly, Parthiv Patel that held his nerve to secure a run out in the final ball to deny the visitors a victory. MS Dhoni nearly did the impossible for Chennai Super Kings but Royal Challengers Bangalore held onto their nerve to win the game by 1 run. Former India cricketer and CricketNext expert Hemang Badani previews Royal Challengers Bangalore vs Chennai Super Kings. Chennai Super Kings have been in fine form throughout the IPL 2019 thus far and members of the Yellow Army are now taking up a new sport: Silambam, a martial art that originated in Tamil Nadu. While du Plessis tried his best impersonation of Arnold Schwarzenegger, Dhoni added his own twist to a Tom Cruise Dialogue from the movie ‘Top Gun’. During a live interaction session with fans, Shah Rukh Khan shared a list of his favourite films. Read on to see which ones made the cut. After playing for the men in yellow in 121 successive matches, Dhoni missed out on a contest for the first time since March 23, 2010, when CSK came out to play against SunRisers Hyderabad at the Rajiv Gandhi International Stadium on Wednesday. Among early voters to cast vote was actor-politician Rajinikanth. The superstar cast his vote at the polling booth in Stella Maris College. 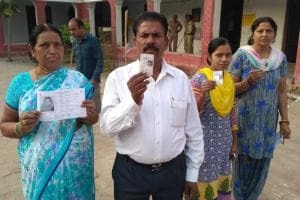 The second phase of the Lok Sabha polls today will see voters in 95 constituencies across 11 states exercise their franchise to decide the electoral fortunes of 1600-odd candidates. Polling is being held across 39 seats in Tamil Nadu, 14 seats in Karnataka, 10 in Maharashtra, eight in Uttar Pradesh, five seats each in Odisha, Bihar and Assam, two in Jammu and Kashmir and one seat each in Manipur and Puducherry. The Thoothukkudi constituency will see a tough battle between two high-profile women candidates — M Kanimozhi of the DMK and BJP state president Tamilisai Soundararajan. Sunrisers Hyderabad captain Kane Williamson was pleased with the way his side bounced back from a poor start to beat table-toppers Chennai Super Kings in Hyderabad on Wednesday (April 17). A disciplined bowling effort followed by solid fifties from David Warner and Jonny Bairstow guided Sunrisers Hyderabad to a six-wicket win over Chennai Super Kings at the Rajiv Gandhi International Stadium on Wednesday (April 17). Sunrisers Hyderabad first restricted Chennai Super Kings to just 132/5 and then thanks to the fifties from both their openers, Hyderabad chased down the total in time to get back to winning ways.